Atlas and the Anchor: Bayside - "Cult"
Bayside are set to release their highly-anticipated sixth album, Cult today via new label Hopeless Records. 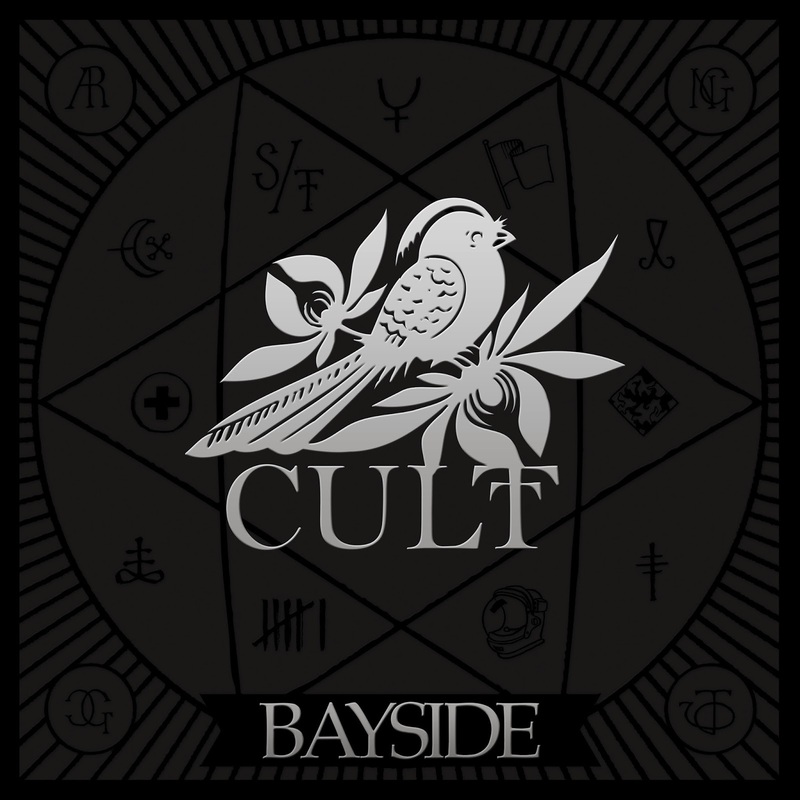 With one of the most loyal fan bases in the industry, their aptly-titled new album also incorporates images and logos from all of their previous releases and musically showcases why so many are a part of the Bayside “cult”. Produced by longtime collaborator Shep Goodman along with Aaron Accetta (Four Year Strong, He Is We), Cult retains their distinct brand of dark yet highly melodic pop-punk set to some of frontman Anthony Raneri’s most personal and dynamic lyrical themes yet as he dealt with both the pain of losing several loved ones and the joys of getting married and having his first child during the two-year sessions for Cult. The anthemic “Big Cheese” opens with some fist-in-the-air crowd chanting that supports the album’s title. The first single, “Time Has Come” shows Raneri waxing poetic about his past and future alongside a propulsive rhythm and an infectious sing-along chorus. Standout track, “Your No Match” showcases Jack O’Shea’s blazing lead guitar work along with Anthony’s biting, self-deprecating lyrics. Another standout, “Transitive Property” is an easily relatable, heart-wrenching apology letter written to his wife during a tumultuous time before they were married that almost didn’t make it onto the album. Later, “Stuttering” deals with the lofty expectations hoisted upon the band: “I’m the voice of the oppressed, and that’s what everyone expects” and throws out a sarcastic reference to the Cure for good measure. The eleven-song album closes out with the metallic leads, hard-charging rhythm and swaying melodies of “The Whitest Lie”. With Cult, Bayside has delivered once again with their strongest album in years.